Greater Portland Scribists: Scribings Vol 2 Is Here! Scribings Vol 2 Is Here! Journey into lands long lost with the Greater Portland Scribists. Delve into an Egyptian pyramid in a peculiar location. See what a Viking boy does when handed the executioner’s ax. Find out why sometimes it’s too late to learn from your mistakes. Watch a bookbinder as he achieves his dreams. 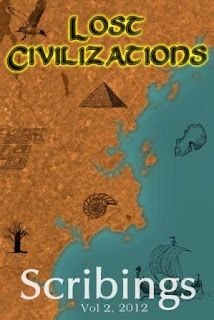 See a civilization vanish through the eyes of a young girl. 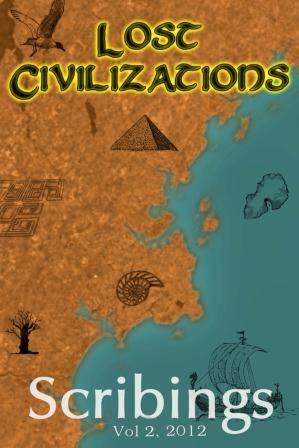 Scribings Vol 2: Lost Civilizations features eight exciting stories that will take you on a trip through time and space and even through the fabric of reality itself. Scribings Vol 2 features stories from trusted veterans Richard Veysey, Cynthia Ravinski, and Jamie Alan Belanger, as well as stories from new members Christopher L. Weston and Timothy Lynch. You will be missing something awesome if you miss reading this book loved every page...cant wait for the next. Thanks for reading! We are glad you enjoyed the volume.